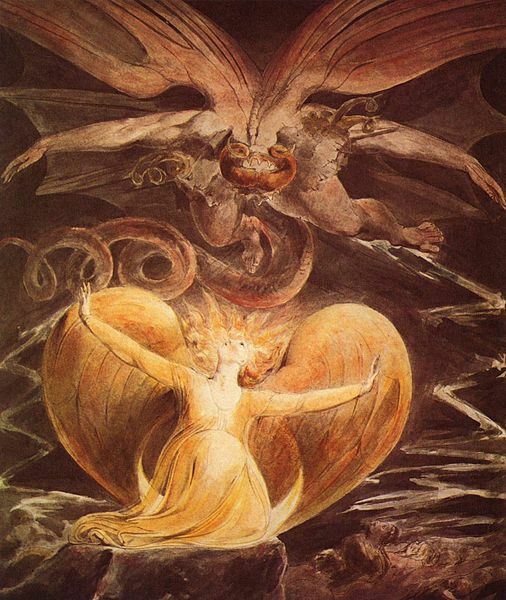 Aged 65, Blake’s last years were spent at Fountain Court off the Strand where he began work on illustrations for the Book of Job and was then commissioned to do a series of engravings to illustrate Dante’s Divine Comedy in 1826. Sadly though Blake died 12 August 1827 and this cut short the enterprise, and only a handful of watercolours were completed. Despite being Largely unrecognised during his lifetime and considered mad by his contempories for his idiosyncratic views, Blake is now considered a seminal figure in the history of the poetry and visual arts of the Romantic Age. His paintings and poetry have been characterised as part of the Romantic movement and “Pre-Romantic” and he was placed at number 38 in the BBC’s poll of the 100 Greatest Britons. Gillan made her first theatre appearance playing the role of Shirley in John Osborne’s play Inadmissible Evidence along with Douglas Hodge The play debuted at the Donmar Warehouse on 16 October 2011. She appeared in the seventh series of Doctor Who until leaving in 2012 .On 26 January 2012, Karen Gillan played the part of supermodel Jean Shrimpton in the BBC Four film We’ll Take Manhattan, which told the story of Shrimpton’s relationship with the photographer David Bailey. I would like to see Stanley Kubrick’s iconic masterpiece 2001: A Space Odyssey, which Has been digitally restored and given a special limited U.K. release as part of the British Film Institute’s “Sci-Fi: Days of Fears and Wonder” season.This dystopian science fiction film imagines a post-human future and pioneered so many of today’s science fiction tropes and ideas, Including techno-babble, pseudo rocket science and visionary gigantism in order to portray the vastness of deep space, Combined with some fantastic music. The film starts during The Dawn of Man and concerns the trials and tribulations of a tribe of Neolithic Cave Men, who are driven out by another tribe. Until they then discover a mysterious black monolith which , enables them to gain knowledge of tools and weapons and gives them an advantage over the other tribes. Four Million years later Dr. Heywood R. Floyd (William Sylvester) is travelling aboard a Space Plane en-route to a Lunar US Outpost called Clavius Base, on a top-secret mission to investigate a mysterious artefact which has recently been found on the moon -“Tycho Magnetic Anomaly One” (TMA-1)— a black Monolith similar to the one encountered by the apes, which has been”deliberately buried” for four million years and has been emitting a single, very powerful radio signal towards Jupiter. Eighteen months later, a U.S. spacecraft Discovery Is en-route to Jupiter to investigate. On board are mission pilots and scientists Dr. David Bowman (Keir Dullea) and Dr. Frank Poole (Gary Lockwood), and three other scientists who are in cryogenic hibernation. The ship is controlled by a computer, HAL 9000 (voiced by Douglas Rain), who is supposed to be foolproof and incapable of error but which starts malfunctioning putting the crew in danger leading Bowman and Poole to attempt to disconnect HAL, which causes even more trouble.